Select the font style you prefer. Enter a name or couples names, Mr and Mrs, wedding date or little message. 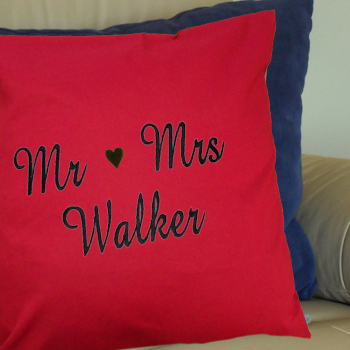 Beautifully sewn in a thread colour of your choice to make a fantastic Personalised cushion.